Federal Donuts celebrates David Dye with a limited-edition doughnut available Friday. 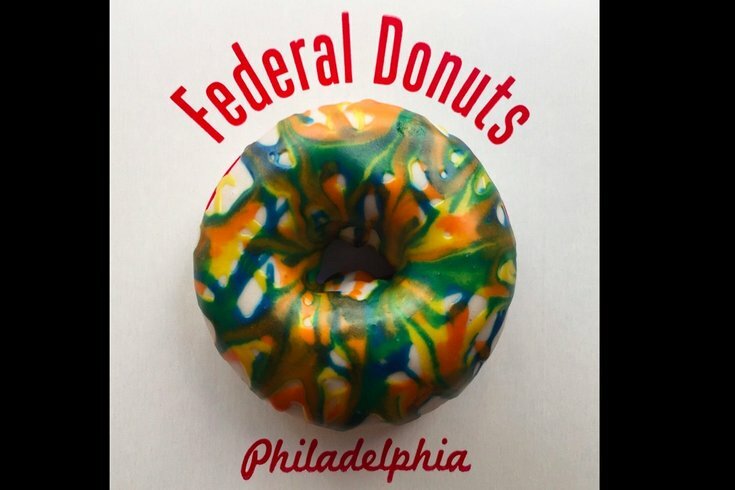 Federal Donuts is tipping its hat to soon-to-be-retired WXPN "World Cafe" host David Dye in the form of something delicious. The treat will be available at all four Federal Donut locations throughout the city, and proceeds will go toward the publicly funded radio station. Dye announced in November that he would be stepping down from his position after joining in 1991. He will stay at the station as a host for "Funky Friday," airing every Friday from 5-7 p.m.
"World Cafe" is distributed by NPR to more than 200 stations across the nation every week. During his tenure, Dye interviewed some of the biggest names in music, including The Cure and Joni Mitchell. Dye will finish his time with "World Cafe" this week. Talia Schlanger will step in as the host April 3.